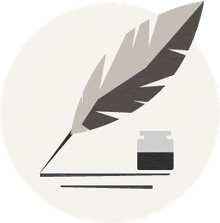 Act 1 Plot Summary of Arthur Miller's "All My Sons"
Written in 1947, "All My Sons" by Arthur Miller is the sad post-World War II story about the Kellers, a seemingly “All-American” family. The father, Joe Keller, has concealed a great sin: during the war, he allowed his factory to ship faulty airplane cylinders to the U.S. Armed Forces. Because of this, over twenty American pilots died. It is a story that has moved theater audiences since its debut. 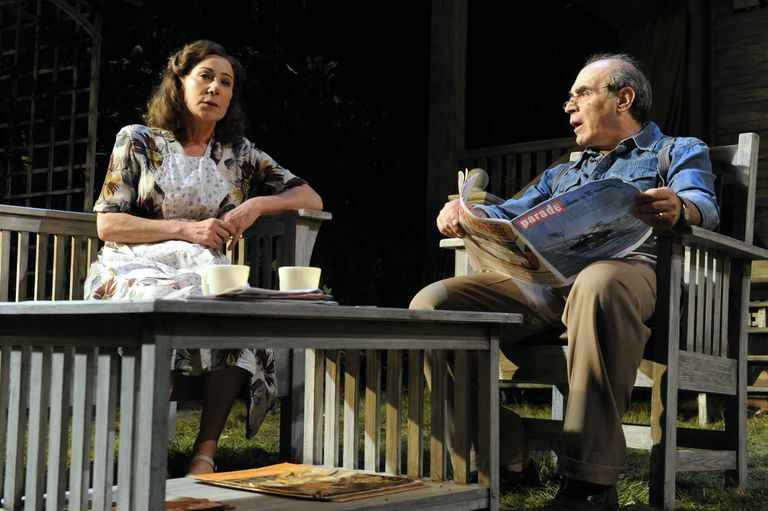 Like other Miller plays, the characters of "All My Sons" are well-developed and the audience can relate to their emotions and trials with each twist and turn that the story takes. The Backstory of "All My Sons"
Joe Keller has been running a successful factory for decades. His business partner and neighbor, Steve Deever noticed the faulty parts first. Joe allowed the parts to be shipped. After the deaths of the pilots, both Steve and Joe are arrested. Joe is exonerated and released and the entire blame shifts to Steve who remains in jail. Keller’s two sons, Larry and Chris, served during the war. Chris came back home. Larry’s airplane went down in China and the young man was declared MIA. The entire play takes place in the backyard of the Keller home. The house is located on the outskirts of a town somewhere in America and the year is 1946. Important Detail: Arthur Miller is very specific about a particular set-piece: “In the left corner, downstage, stands the four-foot high stump of a slender apple tree whose upper trunk and branches lie toppled beside it, fruit still clinging to its branches.” This tree fell during the previous night. It was planted in honor of the missing Larry Keller. Jim the doctor and his wife Sue. Bert the little kid who pretends that he is a deputy and Joe is the neighborhood jailer. Joe’s 32-year-old son Chris believes that his father is an honorable man. After interacting with the neighbors, Chris discusses his feelings for Ann Deever – their old next door neighbor and daughter of the disgraced Steve Deever. Ann is visiting the Kellers for the first time since moving to New York. Chris wants to marry her. Joe likes Ann but discourages the engagement because of how Chris’ mother Kate Keller will react. Kate still believes that Larry is still alive, even though Chris, Joe, and Ann believe that he died during the war. She tells the others how she dreamed of her son, and then she walked downstairs half-asleep and witnessed the wind rip apart Larry’s memorial tree. She is a woman who can hold onto her beliefs despite the doubts of others. ANN: Why does your heart tell you he’s alive? MOTHER: Because he has to be. MOTHER: Because certain things have to be, and certain things can never be. Like the sun has to rise, it has to be. That’s why there’s God. Otherwise anything could happen. But there’s God, so certain things can never happen. She believes that Ann is “Larry’s girl” and that she has no right to fall in love, let alone marry, Chris. Throughout the play, Kate urges Ann to leave. She does not want Chris to betray his brother be “stealing” Larry’s fiancé. However, Ann is ready to move on with her life. She wants to end her solitude and build a life with Chris. She also looks to the Keller’s as a symbol of how happy her child and family life was before her father’s conviction. She has cut all ties from Steve and Joe is unnerved by how firmly Ann has severed ties with her father. Ann asks to drop the subject of her father. Joe Keller then decides that they should dine out and celebrate Ann’s visit. When Chris finally has a moment alone, he confesses his love for her. She responds enthusiastically, “Oh, Chris, I’ve been ready for a long, long time!” But, just when their future seems happy and hopeful, Ann receives a phone call from her brother George. Like Ann, George moved to New York and felt disgusted with his father’s shameful crime. However, after finally visiting his father, he has changed his mind. He now has doubts about Joe Keller’s supposed innocence. And to prevent Ann from marrying Chris, he plans to arrive at the Keller’s and take her away. Act One ends with the audience anticipating that dark secrets are going to be revealed once George arrives in Act Two.